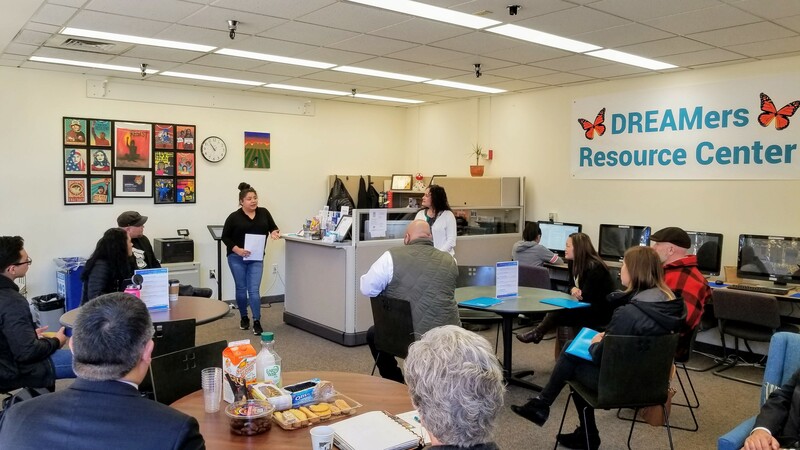 As it approaches its first anniversary, the DREAM Center at Portland Community College’s Rock Creek Campus received an early gift in the form of a $32,000 donation from the Portland-based Imago Dei Community church. The gift, made to the PCC Foundation, will help the center continue to serve the college’s undocumented and Deferred Action for Childhood Arrivals (DACA) students and their families as it pursues long term funding. “We appreciate the Imago Dei Community for their thoughtful and generous support — not just for the DREAM Center, but for all undocumented students and their families,” said Rock Creek President Chris Villa. According to Imago Dei donation committee member Nhu To-Haynes, the church carefully considered many metro area organizations that were making an impact with underserved communities. In PCC’s DREAM Center, however, they saw a unique opportunity to make a meaningful difference during the center’s nascent years. During a November visit to the Center, Imago Dei representatives gained a better understanding of its mission through conversations with staff and students. Those included first-hand accounts of the critical role the center plays in helping DACA students and their families to navigate their limited financial aid opportunities. To-Haynes said the warmth and tranquility of the space made the biggest impact on her. 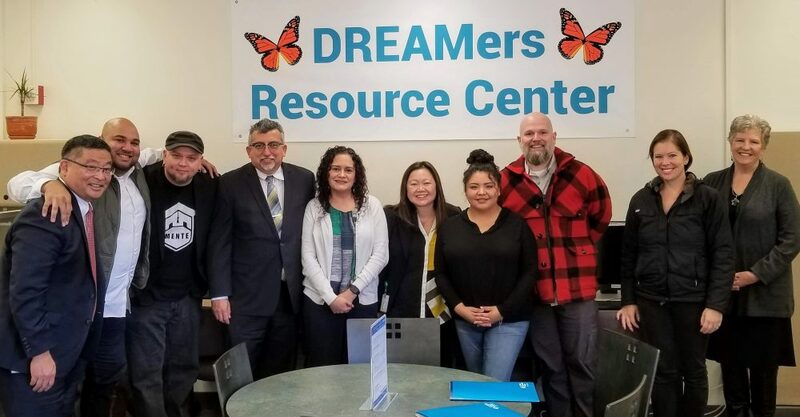 The first of its kind in the state of Oregon, the DREAM Center opened on Jan. 22, 2018, made possible through a $50,000 grant to the PCC Foundation from the Oregon Immigrant and Refugee Funders Collaborative and the Meyer Memorial Trust. The center offers outreach, education, advocacy and community resources, bilingual materials, and funding for urgent and emergency services for undocumented and DACA students and their families. Specifically, the center’s provisions include legal services, the facilitation and processing of initial DACA applications and renewal applications, workshops on student support and college navigation resources, and academic/career advising sessions.